Congratulations to Luke Watson who won the British Universities Sprint Triathlon Championships in Calne on Sunday. Luke picked up his brand new Matrix T806 wheelset on Saturday and promptly rode them to their first victory the following day - this, however, was Luke's 3rd win in as many events this year with his latest title giving him automatic qualification to the World Student Games in Taiwan this year. 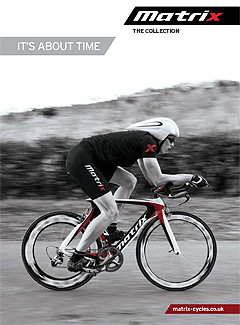 You can follow Luke at http://lukewatson90.blogspot.co.uk/ and see how he gets on with his new Matrix F35 tri frame in up-comming events.